When I was little, my mom had this old fabric pumpkin. There wasn’t really anything special about it. He was kind of worn out and you could tell you had been hanging around for awhile. There were lots of other fun decorations in the Halloween box, but we used to freak out when this decoration came out. Why? Anybody would love The Good Candy Pumpkin. My mom used to fill this little Jack-o’-lantern with candy and anytime she caught us being good we could pick a piece. It worked like a charm…. you know, except for the times we were being naughty by stealing candy from it. I have wanted a candy pumpkin for awhile, but I haven’t gotten around to making one yet, when I saw the large pumpkin die cuts made out of a stiff felt at the dollar store, I knew I could throw one together in one night. 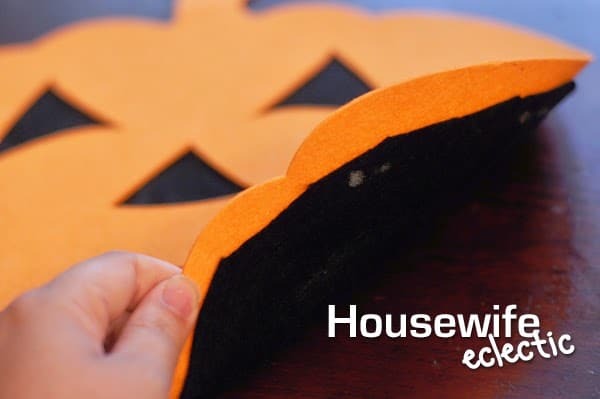 Cut your felt to be generally the same shape as your pumpkin. You can cut your pumpkin to be slightly smaller than the edge of your pumpkin and just glue or sew the felt to the back of your pumpkin. This gives you some room for candy, but not a ton. I like to cut it a little bigger and then glue the edges to the back of the pumpkin, allowing the black felt to be a little baggy in the middle of the back. This gives you just a little more room for delicious candy. 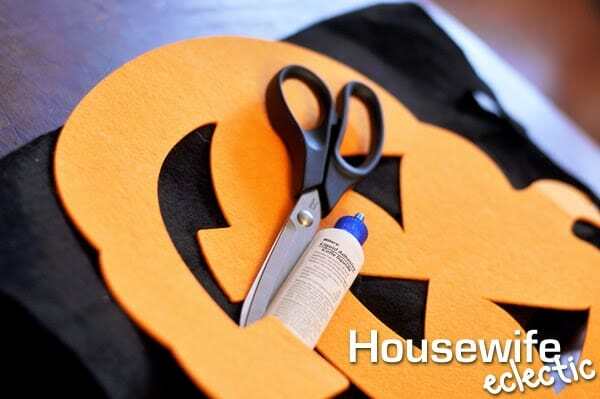 Cut a long length or ribbon, bring the ends together so it makes a large loop and secure to the back of the pumpkin stem with either glue or needle and thread. This will give you something to hang the pumpkin with. My daughter already loves The Good Candy Pumpkin and I love how easy it was to pull together? What Halloween traditions do you have in your house? That came out so cute. I love it. Oh that's cute! Looks easy to make too and very festive. That is so cute. We have very few trick or treaters but I always leave a bowl for them. This is the perfect size for it and so much cuter. What a cute idea! We're going Trick or treating with my 1 yr old niece this year. Should be fun! That is such a great idea. Would be great in a classroom. 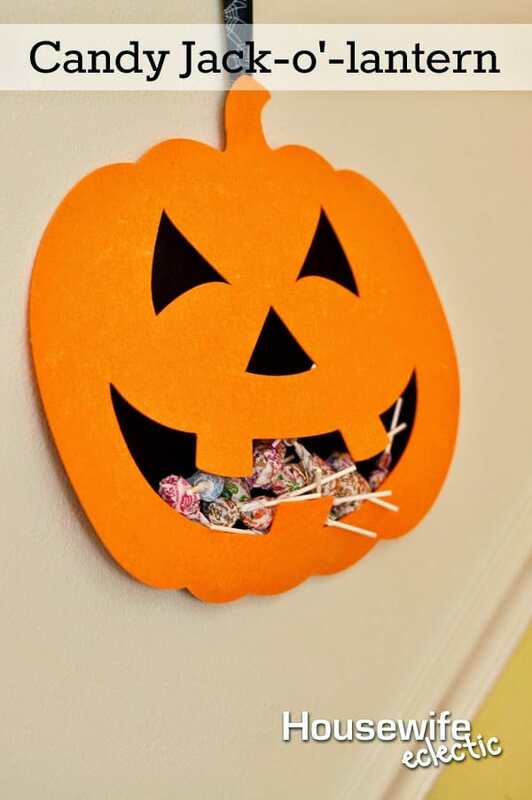 Cute idea to put the candy in the mouth. Looks easy to make. It's a super cute idea! I bet your daughter is loving it! Great post. Halloween is fast approaching. Cute ideas. What an adorable idea! I want to make one! this is so cute! i'm saving this to do it with my dauthers.